Sig Sauer E2 Grip Kit for the P229 pistol with DAK trigger mechanism. 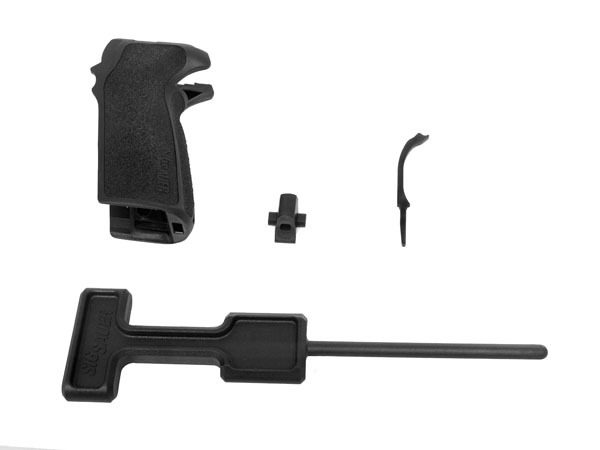 This kit includes all of the required parts to convert to the E2 grip. The ergonomically designed, reduced circumference makes the shooters grip much more comfortable and will especially help those with smaller hands. Had an issue getting the grips installed, even after getting a gunsmith involved. However, Top Gun did everything in their power to help me out. Problem with the product, NOT the vendor. If you have loose grip screws that keep coming loose. These grips will solve the problem.